Marine Rigging – Carl Stahl Sava Industries, Inc. Most boats are fitted with rigging when they are manufactured, but sometimes the cables are changed if they begin to wear out or if the craft is being used for heavy duty shipping purposes. The cables that are used for rigging usually have looped ends so that they can be bolted or hooked to other attachments on the ship. On sailboats, anyone climbing the mast should strap onto one of these cables on the way up in case a strong wind blows them over while they are climbing. To create marine rigging, manufacturers begin with long strips of high tensile metal that are tightly woven together into strands. Steel is the most commonly used material for this process. Several strands are then spun and pressed tightly together into a helix using a machine. The newly created rigging cable is then rolled up onto a spool and shipped out, or it is rolled up onto a pulley to be used with a brand new piece of marine equipment. 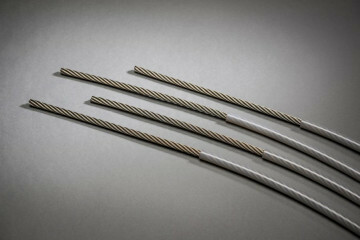 Cable on a ship that is used as part of the rigging is referred to as “cordage”. Cordage in a fixed position is called standing rigging. This is usually found between the mast and the deck to add tension and hold the mast in place. Running rigging is the cordage that is used to control the movement of the sails. This type of rigging needs to be flexible to allow for smooth movement over the pulleys, but it also needs to be very strong to hold the sails in place during high winds. Before technological advances in manufacturing allowed boat builders to use cable for rigging, heavy ropes were used. The problem with this was that the ropes quickly wore out and they would even snap under too much strain. 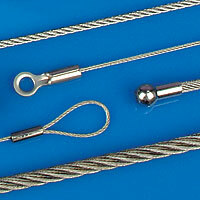 Marine rigging made using metal cable is strong and durable, making it well suited to large and small sail boats. Marine Rigging Marine rigging is used on commercial and recreational boats for a variety of purposes. Cables of various sizes are used to secure masts, hoist sails, tie boats up next to a dock, and hold cargo in place during transport.